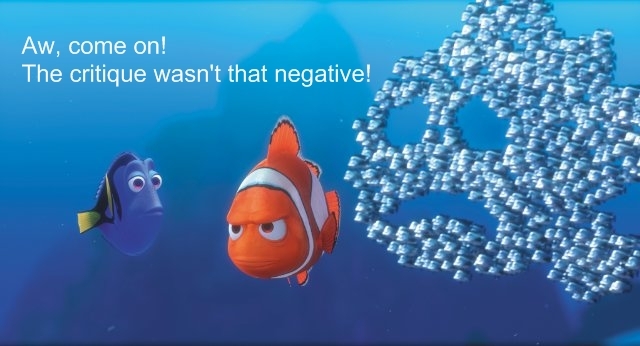 At least we hope to avoid being too negative. We always start with a positive statement before we rip it to … ahem … provide more critical statements. Sunlight and shadow flashed across the mountain and shone through the open window as the sun set. Annabelle’s hands shook as “her personal maid” put the last touch on the curls that she could feel piled on her head. The woman wouldn’t let her look until she was completely ready. “Are you ready to get into your dress?” the maid asked. She nodded, unable to speak. The dress had been laid out and the maid picked it up gently. She instructed Annabelle to step into the neck of the dress and she guided it over the slip and up her hips, just like she was a real princess. Her heart fluttered as the maid tied the silken bow and the dress tightened around her slight frame. She fingered the blue gauze that cascaded like a waterfall down to her ankles, her pulse a butterfly beneath her fingers. The maid pulled out a box and set it on the vanity and opened it. A gasp escaped her at the sight of two glass slippers resting on black velvet, sparkling as though made of stardust. “The finishing touch,” the maid whispered, gently taking them out. How did he find those? She pressed on Annabelle’s shoulders lightly and she sat. She guided her feet into the shoes and then instructed her to stand and turn. The mirror stood behind her. She turned and caught her breath. She even looked like a princess. She wasn’t ugly like Dad had always told her. Brenden even took her modesty into mind as the sleeves were elegantly long and the neckline didn’t swoop too low. Not too much makeup either. She was herself. She was beautiful. She was a princess. Her reflection blurred. The door was opened for her and she stepped out into the dimness, determined to be brave about this and not burst into tears at the pure bliss of all this. A spotlight flashed, bathing her in a soft white light. She stepped forward and it followed her. Another light illuminated him, stepping toward her. She had to clench her teeth to keep from bursting into tears, seeing him, so handsome and princely-looking in his suit. This was the scene she always daydreamed about. Back two years ago when she was sixteen and all she had to hold onto was the forgotten collection of fairy tales that used to be her mother’s. She’d imagine she had a prince and that he’d rescued her from Dad. He motioned for her to come closer. She stepped forward again, trembling. The stair case in front of her was short, connecting with the one in front of him. It joined and led down to a beautiful ballroom. She realized she was smiling as she lifted her skirts a bit and began to make her way down the steps. He met her at the landing and offered his arm. She slid her hand around the crook of his elbow and they descended the last flight of stairs together. “You’re breathtaking,” he said softly. Her breath caught and she couldn’t respond. She was breathtaking. She nodded. “I taught myself,” she said, softly. She taught herself to keep herself sane back when Dad beat her every day. It helped her forget, to pretend she was a princess in the arms of a prince. Of someone who loved her. “Now you can dance with someone,” he whispered, putting a hand on her waist. The music emanated around them and like a fairy-tale come to life, they danced in the glow of the white spotlight. It’s clear that you have a passion for romantic expression. I’m confident that your work will enchant many female readers. Since I have critiqued one of your pieces before, and since I am working hard to finish a book, I’m just going to mention a few items this time. First, be careful about point of view. It’s unlikely that Annabelle was looking at the mountain and seeing something flashing on it. Since she was busy with preparation, she probably saw only the sunlight coming in the window. Also a shadow can’t shine through a window. See my writing tips on point of view. Watch out for reactions that come before the cause of the actions. For example, her hands shake before we learn why. Her heart flutters before we learn why. She gasps before we learn why. She catches her breath before we learn why. If readers are inside the POV character’s head, they would see, hear, or know the reason for a reaction before the reaction happens. You would probably have fewer troubles with antecedents if you name the maid. Several times you wrote “she” and “her” and I had to doublecheck to see to whom those pronouns referred. If you gave the maid a name, you could insert that name now and then, which would eliminate some of the pronouns. I couldn’t figure out why Annabelle was unable to speak. It struck me as quite odd that there is no description of the prince. It seems to me that she would have noticed some of his features. As it stands, it seems that she is far more interested in her own appearance than his, which made her seem vain to me, especially her acknowledgement that she was breathtaking. “The music emanated around them and like a fairy-tale come to life, they danced in the glow of the white spotlight.” You need either a period after “life” or an “and” after the comma. I hope that others will join in to critique. I don’t usually like romance stories, but this one seemed interesting to me. You described most things quite well and I could picture it happening. I did think the maid and the prince needed a name, and the prince needed a description. That’s all I have time for to say, but your story sounds very intriguing! This was very interesting. I don’t usually care for romantic, prince-and-princess-falls-in-love kind of stories, but this one was very intriguing. I liked how you used good details and descriptions to paint a vivid picture in my head. I saw everything as if I was there. “The finishing touch,” the maid whispered, gently taking them out. How did he find those? She pressed on Annabelle’s shoulders lightly and she sat. I had to re-read this part here because one moment Annabelle and the maid are alone, then there is a single sentence about a ‘he’ that wasn’t there before. Then the story resumes as if that middle sentence wasn’t there. Also, there wasn’t really any inclination that this was Annabelle asking this in her head. It was a little confusing to me. Just something to consider. This confused me a bit too, but after reading on, I believe the ‘he’ is referring to Brenden, the dress maker rather than the maid. This is another good reason to give the maid a name early on. I think replacing the confusing bit with ‘How did Brenden find those?’ would repair this passage as there isn’t an immediate need to explain just who Brenden is. He is elaborated on shortly after. Thank you for the critiques everyone. 🙂 I’m entering it into a contest, so I need all the help I can get! This story’s pretty cool so far. Good luck and may the Force be with you! As I am a mid-forties male, I really can’t attest to the ‘romance’ angle, but I equate this passage with more a fantasy of a better life than a true romance. Annabelle appears to be more enchanted with being rescued from an abusive father by her Prince Charming than any real desire to be swept off her feet. I can get behind that. I prefer strong but brief visuals that place a single image in the reader’s mind and let them fill in the gaps based on that image. To do that, the single image has to be strong. The strongest visual for me in this entire passage was perhaps the first few sentences, which is a great place for it to be. Perhaps Annabelle was looking out her window as the maid finished her hair? A distraction since ‘the woman wouldn’t let her look’ anyway. In which case, you can tweak the image of the sun on the mountain and keep it. Danced might be a better word than flashed and add an element for the sun to ‘dance’ through. The setting sun danced through the trees on the mountain, conjuring images of the evening to come. This also adds some small foreshadowing and hints at what is on Annabelle’s mind and what she is preparing for. Her personal maid, Josephine had insisted Annabelle face out the window as the woman put the finishing touches in her hair, refusing to let her look until it was complete. Conveying that her hair is done up on her head is tricky since Annabelle can’t see it, so use a sensation she doesn’t ordinarily feel when her hair is down, a soft breeze on her neck for example. Then close the paragraph with Annabelle’s excitement and the reason for her shaking hands. A soft breeze from the open window caressed her bare neck as Josephine pinned the last of her thick curls in place atop her head and Annabelle’s hands trembled with excitement. She couldn’t wait to see how she looked. Now put together. . . The setting sun danced through the trees on the mountain, conjuring images of the evening to come. Her personal maid, Josephine, had insisted Annabelle face out the window as the woman put the finishing touches in her hair, refusing to let her look until it was complete. A soft breeze from the open window caressed her bare neck as Josephine pinned the last of her thick curls in place atop her head and Annabelle’s hands trembled with excitement. She couldn’t wait to see how she looked. Now, all that being said, it could be tweaked even more to add more visual and emotional stimuli, but it is all largely subject to preference and style. I too am an amateur writer and this is by no means the only way to tackle it. Nor am I qualified to tackle your whole submission. However, I would add that your third paragraph that begins ‘A gasp escaped her’ becomes a little confusing with all the pronouns. By giving the maid a name, ‘Josephine’ and establishing she is an adult ‘woman’ in the first paragraph, you allow yourself some leeway in referring to her as something other than ‘her’ in the third paragraph and reserve the pronoun mostly (but not necessarily exclusively) to Annabelle. I’ve stated before, antecedents give me nosebleeds. And finally, try to choose your words carefully and efficiently. the sleeves were long and elegant, the neckline tasteful. This was the scene she always daydreamed about. Back two years ago when she was sixteen and all she had to hold onto was the forgotten collection of fairy tales that used to be her mother’s. It was the night she had dreamed about for two years, since she was sixteen and had only the forgotten fairy tales of her mother’s to hold onto. Or something to that effect. In any case, I am discovering revision is difficult work, but it makes all the difference. The first draft is a milestone, but it is just the first of many. You have to keep at it, ask for advice and most importantly, trust yourself. Great comments. Thank you for the thorough critique. I have to agree that the maid needs a name as I was confused about who was Brenden and also thought that the maid was a female until his name appeared.You have good descriptive writing and perhaps you could expand the story by describing the prince, giving him more presence with a name and why he is so important to her – more than just rescuing her from her dad. As far as her past, perhaps you can show a scar that was a result of a beating from her dad or a constant flash back that she fights to overcome. She seems to want to believe that she is worthy of this marriage. Your story is good and by adding a little more depth to it, the story would really shine. Sunlight and shadow flashed across the mountain and shone through the open window as the sun set. Annabelle sighed at such a gorgeous view. Her “personal maid” turned her head forward. “Do please keep you head still, Milady,” she said softly. I like it all ready! If you ever have the full story I would love to read it.